The 2019 CSA Season is upon us! First shares will be going out the third week of April. It’s not too late if you’d still like to join our CSA family. 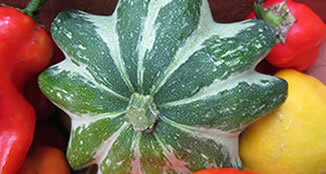 Sign Up Now for fabulous veggies, eggs & flowers for 32 weeks of our long Missouri growing season. You can also find HHF’s veggies, eggs & flowers every Saturday morning at the Columbia Farmers Market 8-noon in the Parkade Plaza parking lot. We will continue to be at Parkade Plaza for another few weeks as we anxiously await the completion of the Clary-Shy Pavilion and Agriculture Park!!! Happy Hollow Farm is nestled among the rolling hills along the Missouri River. The primary growing fields border the Little Splice Creek bottom and thus benefit from the beautiful silt loam soils that are rich in organic matter. 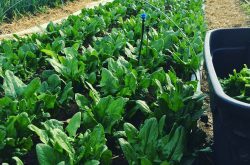 We are a USDA certified organic farm and use a combination of highly managed cover cropping techniques, crop rotations, compost applications, hay mulch and add small quantities of minerals and nutrients. My goal is to give back more to the soil than I take. What is Happy Hollow Farm Community Supported Agriculture? 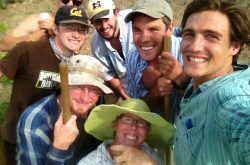 Happy Hollow Farm welcomes all who are interested in supporting local sustainable agriculture to become a CSA member. 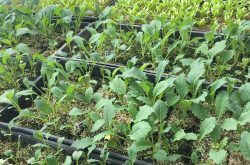 Each member receives a box of seasonal produce every week during the 32 week growing season (Early May thru the end of December). 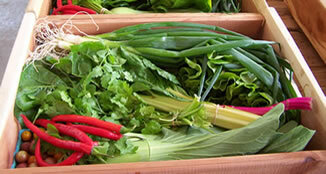 In exchange, members help with some of the harvesting and distribution of the weekly boxes. The farmer and the consumer thus provide mutual support and share in the risks and rewards of local food production. Our farm CSA family has grown over the years & being a part of each of our members lives has enriched & expanded my life & that of the farm members, so immensely. I am so lucky to personally know the people our farm is feeding! Rockin’ & Rollin’ in the greenhouse this spring! 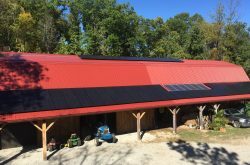 Happy Hollow Farm Goes 100% Solar!